Do you want a Snaidero kitchen with Neff devices for an affordable price? Welcome to the Snaidero Concept Store in Arnemuiden (The Netherlands). Here you find the latest design trends in kitchens. 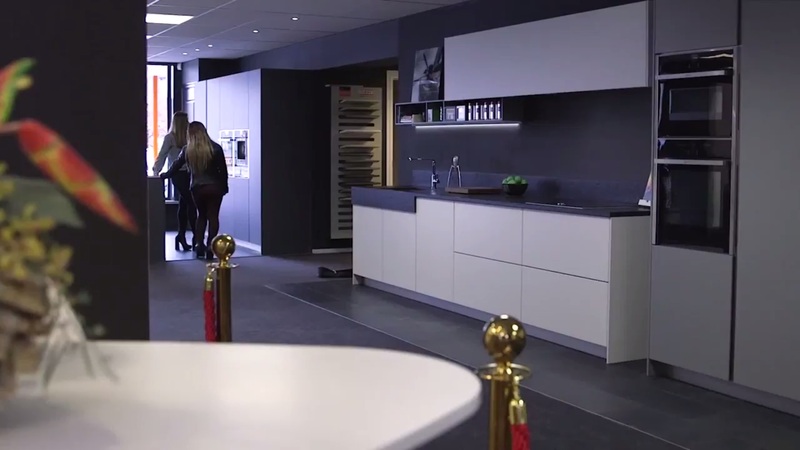 Snaidero Concept Store ships and installs kitchens worldwide. Snaidero is an Italian company. Since 1946 Snaidero designs and delivers beautiful kitchens. Check out our page ‘Snaidero kitchens’ to see the latest models. The Snaidero Concept Store is run by Rudy Jacobse. Clients call him ‘Rudy Snaidero’, because he is a lifetime fan of Snaidero. He knows everything about each and every Snaidero model. He often goes to customers to show them how a steam oven or espresso machine works. Of course you are welcome in our showroom in Arnemuiden, but it is no problem if you want to communicate through mail, telephone or by Facetime. We can make a kitchen design for you and send it to your mailbox. Please let us know. Snaidero composition S1 with island in graphite gray, matte lacquer. Snaidero showroom kitchen S18. keuken opstelling S18. Handless kitchen with white soft finish. Stainless steel high gloss lacquered in combination with white high gloss (bianco artico). High gloss lacquered. Normal price: € 47.181,82. On Sale at Snaidero Concept Store: € 26.950. Interested in a Snaidero kitchen? Make an appointment in our showroom. We confirm every appointment by phone or mail. When do you want an appointment? Do you want to give more information?